Godolphin has tried for many years to win “The Race That Stops A Nation,” and Tuesday at Flemington Racecourse in Australia, the drought ended with a victory by 3-year-old Cross Counter (GB) in the Melbourne Cup for Sheik Mohammed's team, including trainer Charlie Appleby and jockey Kerrin Mcevoy. Mcevoy gave the son of Teofilo a spark late to hit the wire in front of Marmelo, ridden by Winx's jockey Hugh Bowman, in the two-mile race. The 5-year-old Marmelo hit the lead close to home, but Cross Counter, making a bid from several lengths back, got to the line first. It was the fifth win in eight starts for Cross Counter, whose dam Waitress is a daughter of US-bred Kingmambo. All four of the top finishers were bred in Great Britain. Appleby's Melbourne Cup win came just days after he won the Breeders' Cup Juvenile Turf on Friday with Line of Duty, surviving an inquiry/objection. 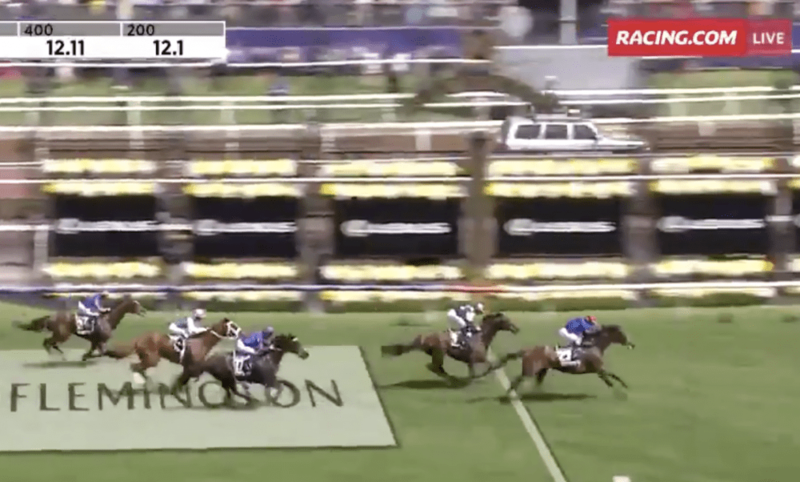 The 2018 Melbourne Cup was marred by the death of one of 24 runners. The Cliffsofmoher (IRE), a Coolmore horse trained by Aidan O'Brien and ridden by Ryan Moore, broke down early in the race and had to be euthanized. This entry was posted in NL Article, Racing and tagged Australian racing, Cross Counter, Godolphin, hugh bowman, Kerrin Mcevoy, Marmelo, melbourne cup, Sheikh Mohommed by Paulick Report Staff. Bookmark the permalink.